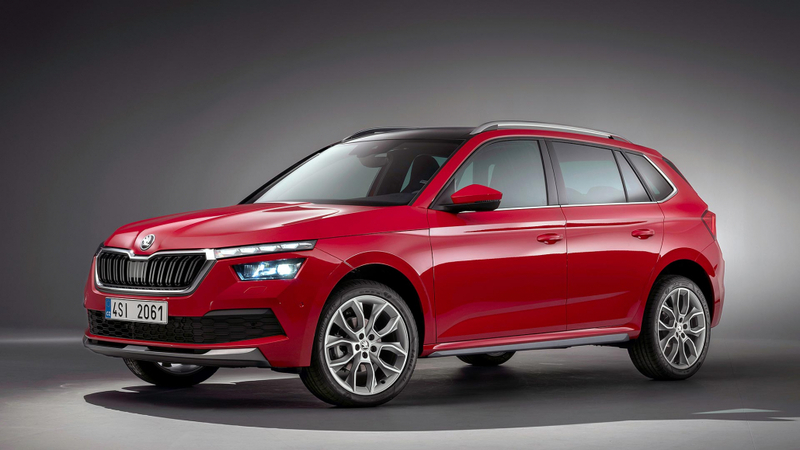 The new Skoda Kamiq, which makes its world debut at the 2019 Geneva Motor Show next week, is the Czech brand’s third all-new SUV and the smallest one it’s launched to date. Billed as a city SUV crossover, the new Kamiq is gunning for the Nissan Juke, Renault Captur and Vauxhall Mokka X (as well as its Seat Arona sister car). Skoda hopes it will bring brand new, younger customers into dealers, those who have never considered the brand before. At 4,241mm long, it’s only slightly larger than a regular supermini, and shorter overall than a family hatchback like a Volkswagen Golf (or, indeed, the upcoming new Skoda Scala). But the higher ground clearance gives it a safe and sturdy feel inside, and the tall body creates plenty of space. Chunky styling draws from the Skoda SUV family DNA, with a wide grille and contoured bonnet. Even the smallest wheels are 16 inches in diameter; up to 18 inches are available, underlining the tough and chunky look. The Kamiq is “powerful and emotive, despite its compact dimensions,” said Skoda head of design Oliver Stefani. 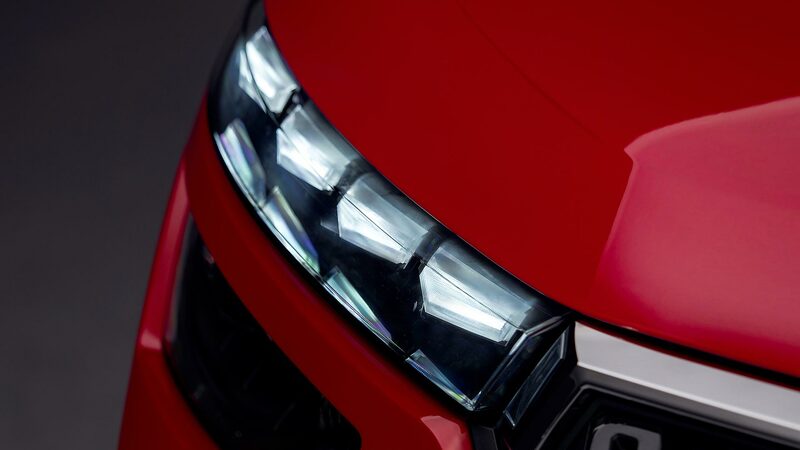 He’s proud of the split LED headlights; choose optional full LED lights and the daytime running lights “appear like four gemstones above the main headlights”. Crystalline 3D effects further enhance the “glistening jewels” appearance. The Scala introduced Skoda’s new interior layout, with a large, freestanding infotainment screen in the centre of the dash. The Kamiq is the second – and at 9.2 inches, the screen is the largest in the city SUV segment. There’s lots of soft-touch materials and more crystalline textures, while ambient lighting in three colours – white, red and copper – help it feel more spacious at night. Luxury touches include optional heated seats in the rear as well as the front. 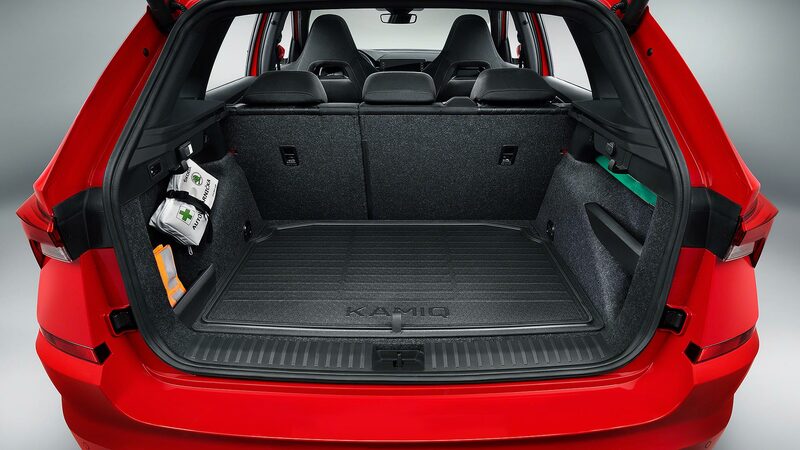 The boot is enormous – 400 litres with the seats up (20 litres bigger than a VW Golf), 1,395 litres with them folded. Skoda will even let you option a fold-down front passenger seat, so loads up to almost 2.5 metres can be loaded in. Skoda’s selling the Kamiq purely in front-wheel drive guise: people care more about fuel economy than off-road traction in this sector (although it does have 37mm more ground clearance than a Scala, add the engineers). There is a diesel, a 115hp 1.6 TDI, but the best-sellers will be the turbo petrol engines – a 1.0 TSI with 95hp or 115hp, plus a 1.5 TSI with 150hp. Those who want a sportier drive can have a sport chassis setup, that’s 10mm lower and comes with adaptive suspension – choose from normal, sport, eco and individual modes. There are lots of standard safety features, plenty more optional ones, and a Skoda wouldn’t be a true Skoda without a plethora of so-called ‘Simply Clever’ features. The Kamiq? It has no fewer than 20 of them. 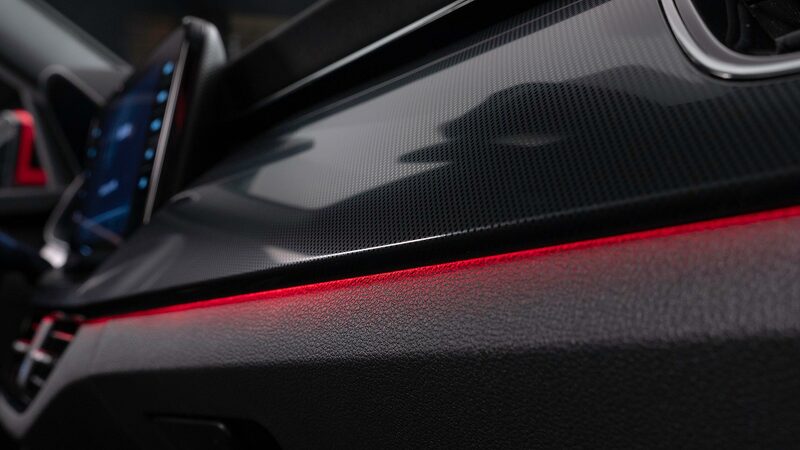 These include sector-first door edge protectors, an electric tailgate, removable LED torch and a Skoda Connect app that allows you to remotely check whether the Kamiq is locked, or how much fuel is in the tank, from your smartphone.